Charleston has earned a great reputation as a destination for out-of-towners. In fact, we’ve been voted one of the top tourist spots in the world for the past five years. And while it’s acceptable to check out the must-see places around town, isn’t there some fun in living like a local and doing things only locals know about? 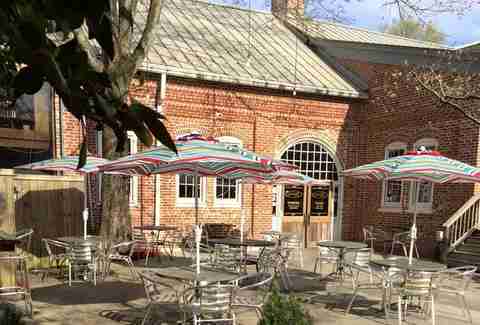 So please, if you're looking to have yourself a really good time in Chucktown doing what we actually do, skip those tourist traps and check out these under-the-radar local favorites... all of which take place at bars. This place is one of those mysterious bars that only true locals know about. It’s not the nicest... but, like, in a charming way. There’s no sign alerting you to its presence, which means you have to either know, or know someone who knows, which sketchy alley to wander down in order to find it. Once inside, take a shot at the “bar putt-putt." Climb on the bar and try to get a hole-in-one into a rocks glass. If you get it, you win a prize, and some serious bragging rights. This tradition originated at the Food & Beverage League night (it's a bowling thing), but gained infamy at The Alley Downtown. 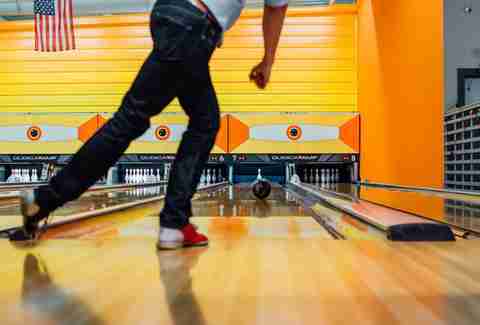 If you knock down all the pins on your first frame except for the five pin -- the one directly in the middle -- the pressure’s on: your teammates are allowed to make as much noise as they want to try and distract you from sinking that last pin. If you miss it, you owe them -- and the opposing team?! -- a prize. Whether it's a round of shots or an order of tater tots, the penance must be paid. Icehouse is one of the oldest bars in Summerville, and is so named because it used to be the place people came to get ice long before refrigerators were invented. Since it's right next to the tracks, workers used to load big blocks of ice onto railcars and have them brought into Charleston. Nowadays it’s a bar, and those train tracks, while still highly functional, serve a slightly different purpose: if you hear the train a-comin' and are the first person to yell “TRAIN!”, the bartender will pour you a free shot. See, now you have a reason not to cover your ears when you hear a whistle blowing. Charleston is largely a college town, so it's filled with some pretty smart people, which is why it makes perfect sense that seemingly every bar worth its salt in the Holy City offers a trivia night. 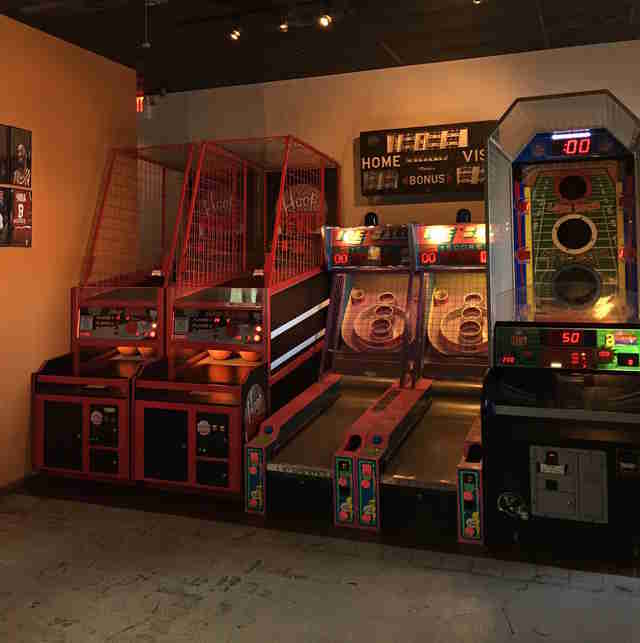 But among them all, your best bet is to head to The Kickin' Chicken (Thursdays at 10pm), Rec Room (Thursday at 8:45pm), or Bay Street Biergarten (Tuesdays at 8:30pm). Many of the hosts at these places actually pull double duty: fan favorite Bill Davis is a stand-up comedian, and brings that talent to the trivia stage. So you actually get double the entertainment while trying to get freebies in exchange for all that (typically pointless) knowledge. 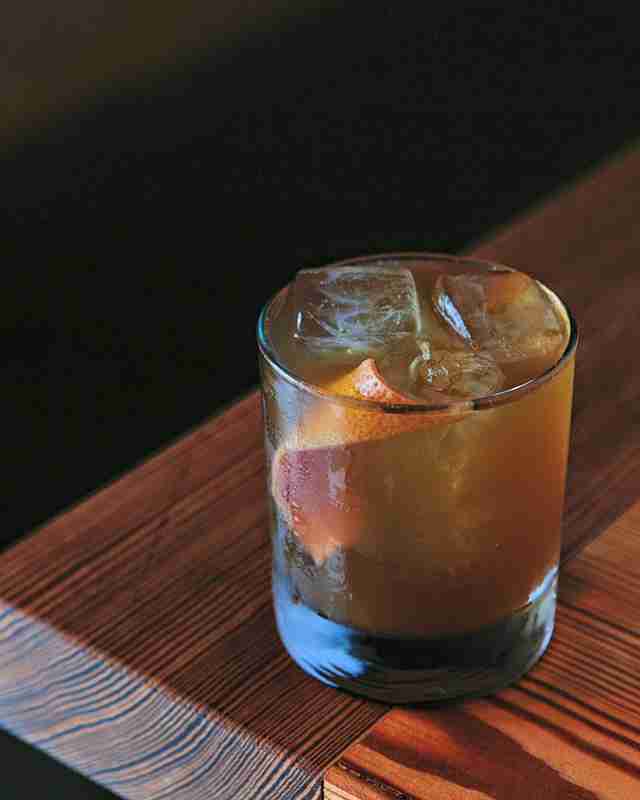 This is one of the best trends to hit the bar scene in Charleston. Nothing makes us yearn for the simpler days of youth more than hours spent in front of classic games like Pac-Man, Galaga, and foosball. And now that we’re able to do that with a drink in hand, adulthood doesn’t seem so bad. 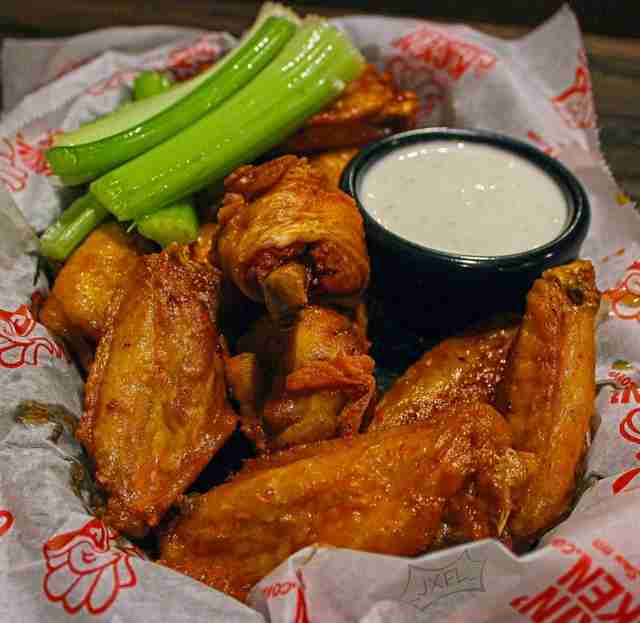 If you’re looking for the best ones, head to The Alley, Charleston Sports Pub, or Burn’s Alley. Spend a night at any of these and you’ll master your game in no time. If you saw that movie Beerfest and thought drinking from a boot seemed like a good idea, you might want to check out Closed for Business. 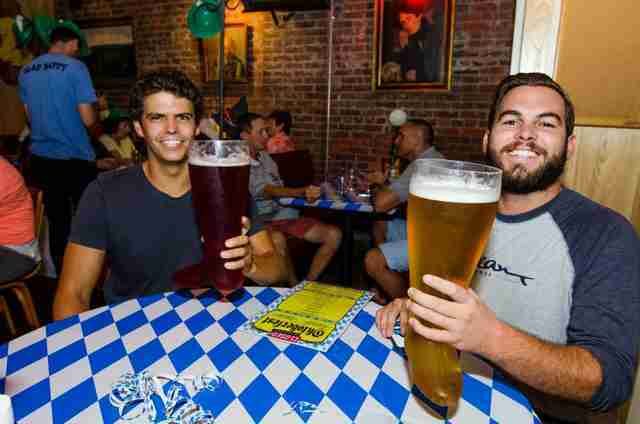 But be warned: it's actually nothing like the movie, and is only offered during Oktoberfest. This place is a classy bar with a serious beer selection (over 42 on tap alone). The boot offered is 2.5 liters of your choice -- provided the ABV isn’t dangerously high -- and costs $25. So please, serious beer drinkers only. Sure, there are many places you could go for some good karaoke in Charleston and grab 15 minutes of fame, but Dudley's on Ann is undoubtedly the best spot. This place offers karaoke every Wednesday night at 10pm hosted by DJ Matterhorn. If you’ve really got skills and don’t just sloppily want to belt out some Journey, sign up for one of the bar’s karaoke competitions. Offered a couple of times a year, these competitions generally last for about six weeks until a final winner is chosen. Who knows? You could be the next one! This ain’t your grandma’s bingo game. 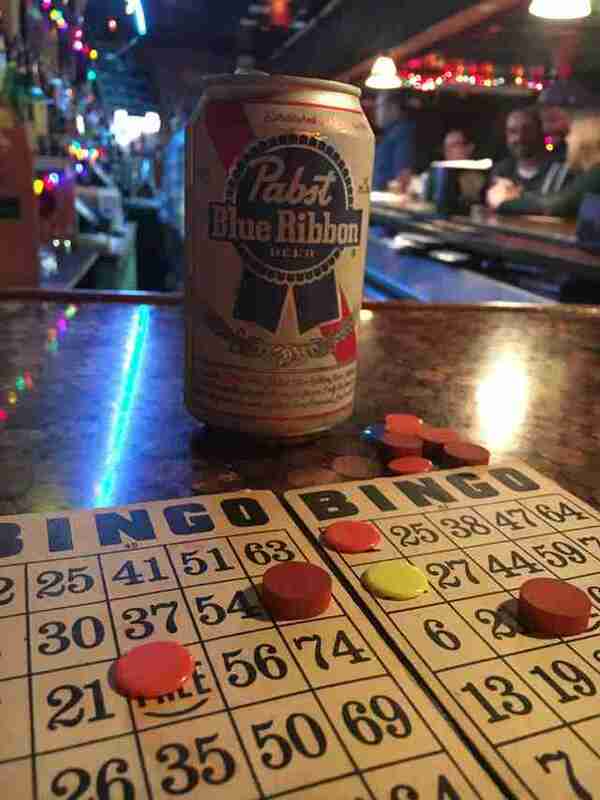 Stop by Tin Roof on a Wednesday night, grab a free bingo card and some tiddlywinks, and settle in as hosts Lily Slay and Rex William Stickel have you rolling with laughter as they pull numbers and deliver a few goofy jokes. Winners get either free drinks or some weird prizes, like rubber duckies or a strange yodeling CD. Honestly, it’s all in how the hosts feel that night. (Hopefully they’re feeling free drinks whenever you go.) Play is from 7-9pm on Wednesdays, and there are plenty of chances to win. HoM pretty much looks like a lot of bars in Charleston when you first walk in: it's dimly lit and relatively narrow, with a few booths lined along the walls. But if you head to the backroom, you’ll find two ping pong tables set up waiting for you to throw down after you order yourself a burger or some cocktails. But don’t chow down too much (though it's not hard to eat either the Businessman or Cowboy Killer burgers in one sitting); unless you’re like Forrest Gump, you’ll probably need your energy for when you maybe-but-most-definitely whack one of the balls off the table and need to run around to try and catch it. Bocce has become the new popular bar game around Charleston, so much so that you can even join a league if you feel so inclined. But of course, feel free to just stop by Bar Mash and play a round sans the league. 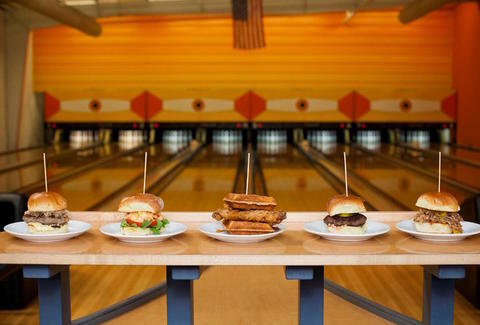 Alongside an indoor bocce court, this Chucktown favorite has an old-school jukebox, a shuffleboard court, and a solid selection of whiskey and bourbon. Plus there’s plenty of Coors Banquet on tap for those who are so over PBR. 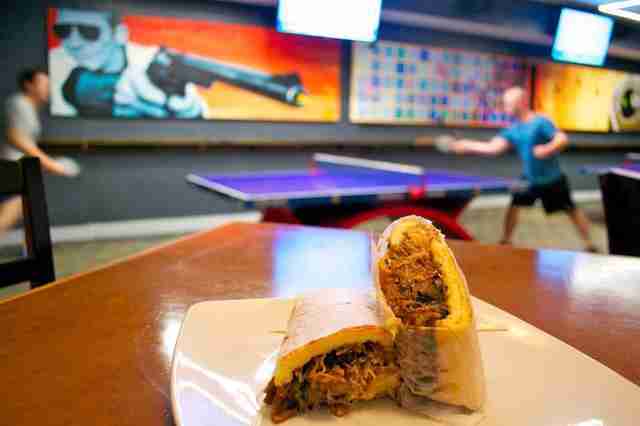 Bocce or not, there’s plenty to do at Bar Mash. But seriously, play bocce. It’s very fun! Sydney Gallimore is a food writer from Charleston who's been known to sing a mean "Don't Stop Believin'", and yes, has never won a karaoke contest. Follow her on Twitter @Sydney_Inc.